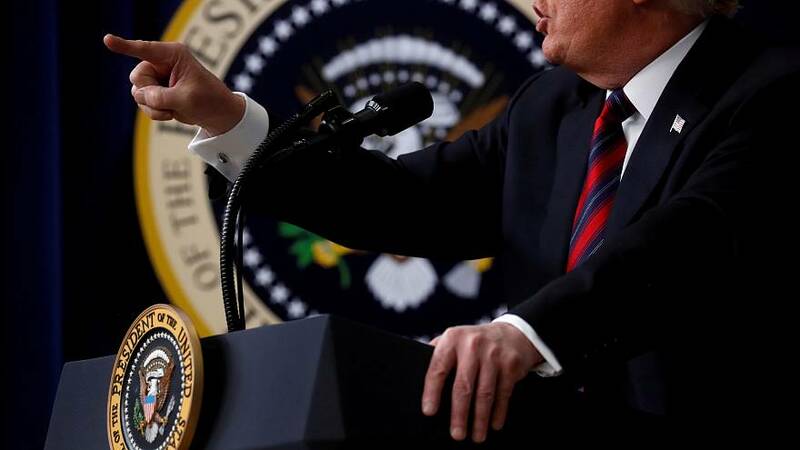 The US president has slammed Europe’s handling of illegal immigration, calling it “a total mess”. “For those who want and advocate for illegal immigration, just take a good look at what has happened to Europe over the last 5 years. A total mess! They only wish they had that decision to make over again,” Donald Trump wrote in a tweet on Wednesday. Over 1.8 million migrants in total have entered Europe since 2014, but numbers have plummeted sharply since their 2015 peak after deals between the EU and Turkey, and Italy and Libya were hashed out. In 2015, about 850,000 asylum seekers arrived in Greece, versus 26,000 this year so far. The United States is currently gripped by news that a packed convoy containing thousands of people from economically unstable Latin American countries is making its way to the US. A throng of an estimated 5,000 migrants from El Salvador, Honduras and Guatemala are currently advancing through Mexico with hopes of finding a better life across its northern border. Trump has called their impending arrival a “national emergency” and has threatened to cut aid to their home countries for failing to stop them “coming illegally”. Yet NGO Human Rights Watch warned such an act could worsen the situation. "Cutting aid to refugee-producing countries will only make worse the conditions that displace people in the first place," they said Sunday.